Our hostel offers comfortable facilities with everything needed for our pilgrims so that they can enjoy their staying with us. 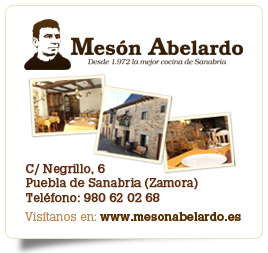 In the middle of the region of Sanabria. An area full of forests and green areas which highlights the natural beauty of Lake Sanabria and mountains. The "Casa Luz" Hostel is the place chosen by many pilgrims, passing through Puebla de Sanabria, looking for a cozy and comfortable place in which to rest and recuperate for the road. The hostel is located in the heart of the village, a town with a great artistic, historical and natural value. Discover all that the region has to offer. The town of Puebla de Sanabria has a rich history and great artistic and monumental attractions that will surprise the visitor. "Our hostel opens from April 1st to October 31st"
In the "Casa Luz" hostel we ensure that each pilgrim feels like at home. Neoclassical style, home to some admired baroque altarpieces. A Romanesque church built between the XII and XIII centuries. A castle-fortress, symbol of the town’s medieval tradition.